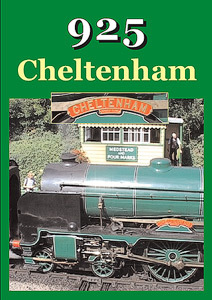 This DVD is about one of Sir Nigel Gresley’s famous Bugatti-inspired A4 Pacific’s, No. 60009 Union of South Africa. As works No. 1853, the engine emerged from Doncaster Works in June 1937 and until withdrawal on 1st June 1965, amassed the highest mileage total of the class. Following withdrawal, ‘No.9’ was purchased by John Cameron, at one time chairman of Scotrail . 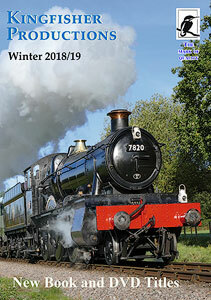 The graceful Pacific has now worked over most of the recognised British main line steam routes, however, it is when on familiar territory in her native Scotland that the engine acquires an additional magic. 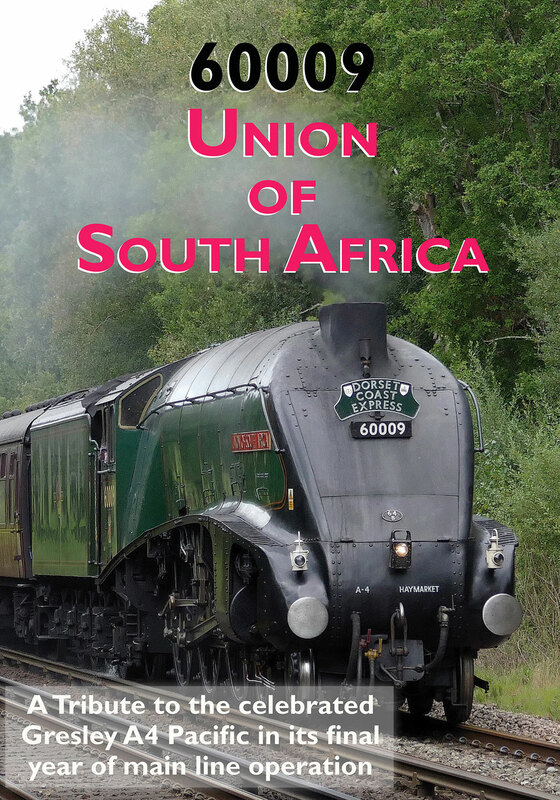 We feature Union of South Africa starting with its triumphant return to Kings Cross in 1994 for its first departure from there for over thirty years with the ‘Elizabethan’ special to Peterborough. 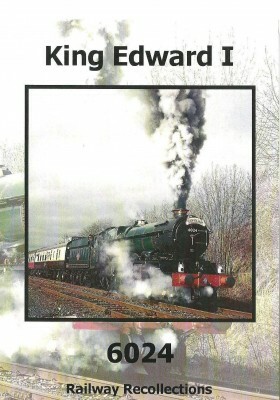 We then go back to its days of overhaul at the Severn Valley Railway, on test at Derby and a triumphant return to Edinburgh Waverley for its star turn at the Forth Railway Bridge Centenary celebrations in 1990. With archive film, we see No. 9 approaching Peterborough thirty years before her return to London, plus the last A4 working from King’s Cross. In Scotland we see the A4 working in the 1960s from Edinburgh to Aberdeen and back, then over the S&C to haul a North Wales Coast Express and back via the S&C to Scotland. A4 No. 60027 Merlin, scrapped in 1966, was the ninth A4 to be built, but with the temporary ‘Osprey’ plates removed No.9 became No.60027 Merlin for a season on the North Wales Coast. Regaining its original ‘Union of South Africa’ nameplates, for wanderings on the Settle & Carlisle, a run over the Welsh Marches and finally back to Scotland – in Glasgow and Edinburgh for the 150 Celebrations. 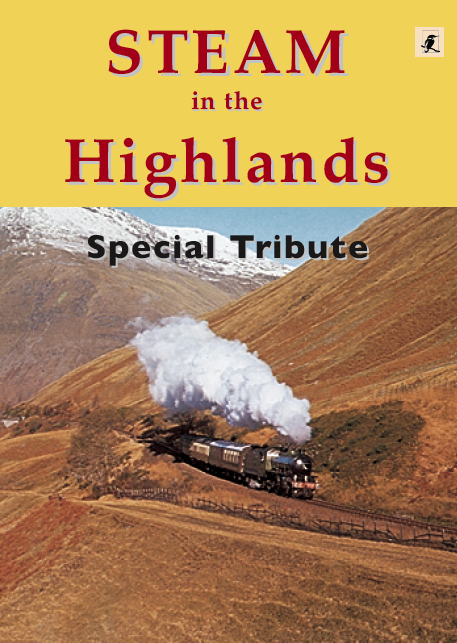 The DVD ends with sequences of railtour workings over the whole of Britain, including the North Wales coast; the Settle-Carlisle and out of London, with her accent of Shap summit in November 2002. 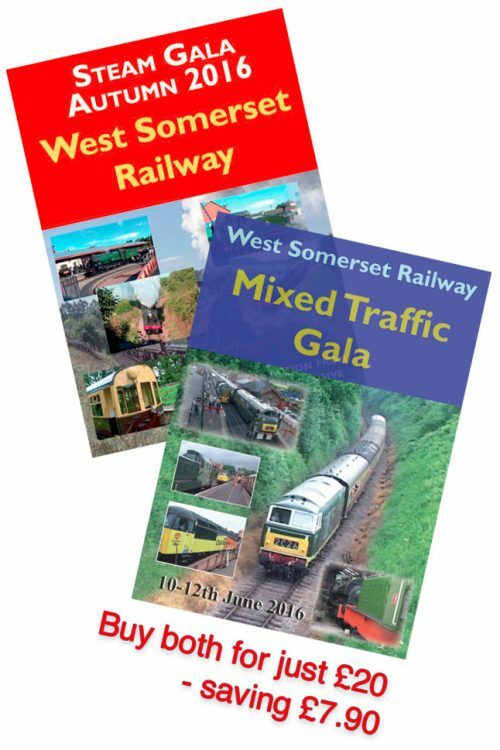 Recent workings over the south and south west in 2018 completes the programme.